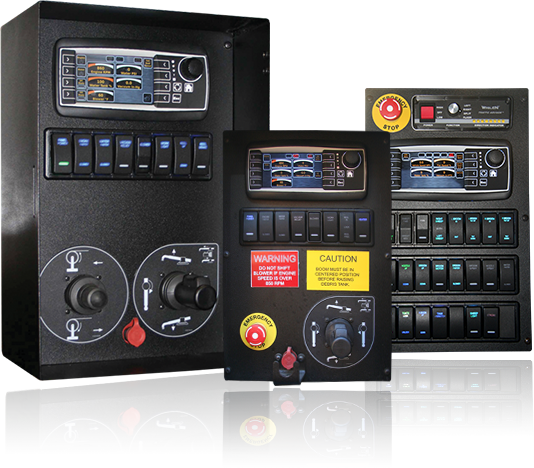 The innovative Vacall AllSmartFlow™ control system is standard on all Vacall jet-vac models, bringing added "Green That Works" advantages to powerful Vacall machines. 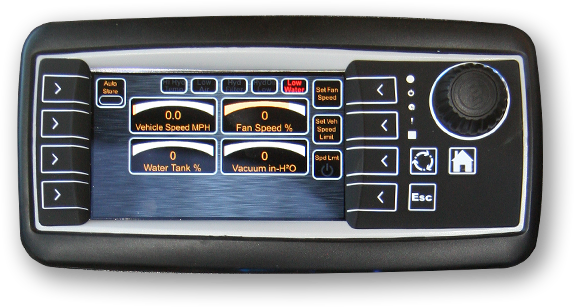 AllSmartFlow controls are managed using a color LCD screen, giving the operator accurate information to make precise machine function adjustments. The NEW AllSmartFlow CAN bus control system allows the operator to use an automatic water pressure compensator to deliver precise water flow and jetting action on AllJetVac models, designed to open and maintain sewer lines. The same benefit pays off in the use of our rugged AllExcavate models, performing demanding hydro excavation work. 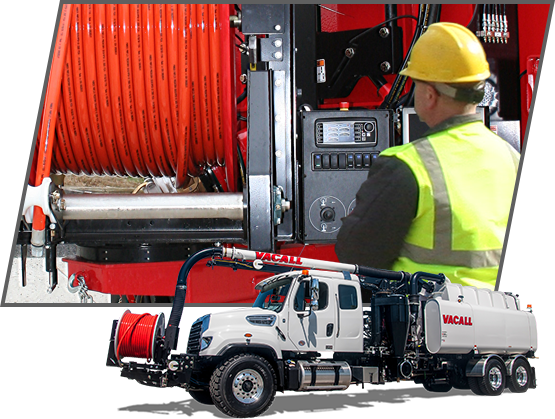 Plus, better water flow control is an important advantage with Vacall AllSweep machines, designed to clean runways, parking venues and remove millings and debris on street resurfacing projects. To build efficiency - getting big jobs done faster - the AllSmartFlow control system lets the operator manage precise boom and reel positions as well as precisely control Vacall's exceptional vacuum capabilities. Those are advantages that can reduce overall fuel consumption. 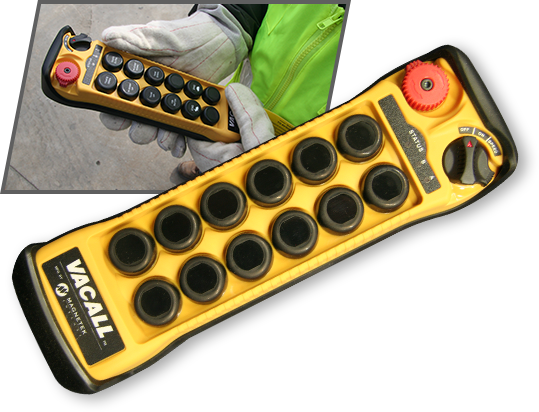 Using a programmable pendant - either wired or wireless - the machine operator can get a closer, clearer view of the job and the Vacall machine functions.